My comedy mentalism show hits the road with a Cross-Canada Tour! 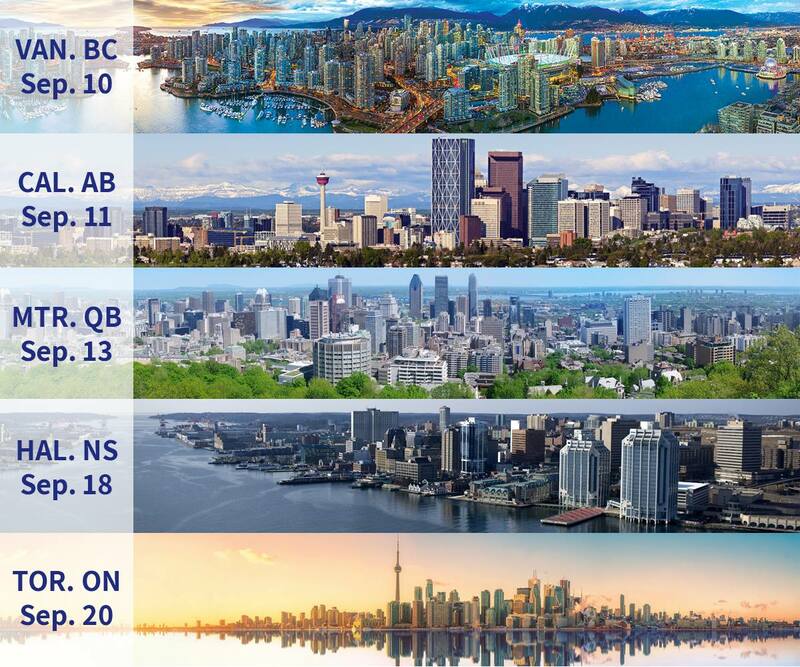 This September I had the opportunity to perform my show in some of the biggest cities in Canada. 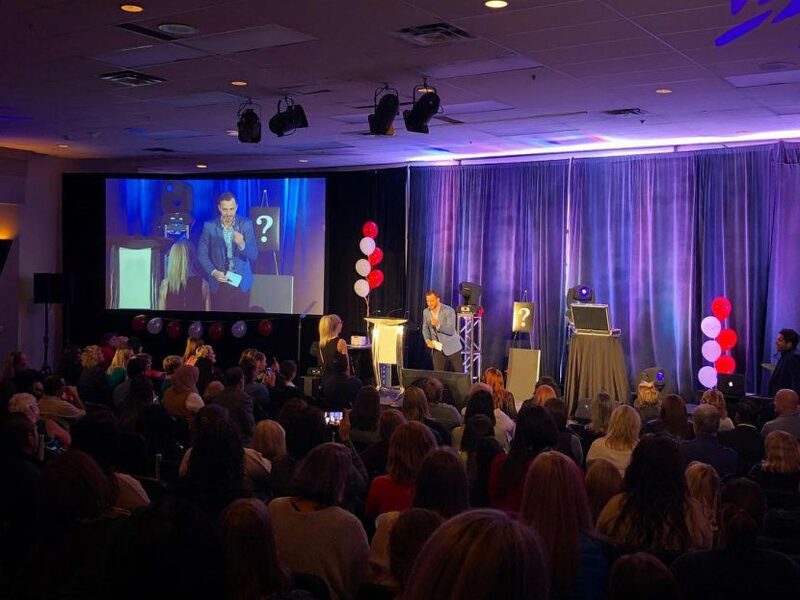 Thanks to The Idea Hunter, a Toronto-based entertainment agency I’ve been a part of since 2014, I was able to perform the show in Vancouver, Calgary, Toronto, Montreal, and Halifax! 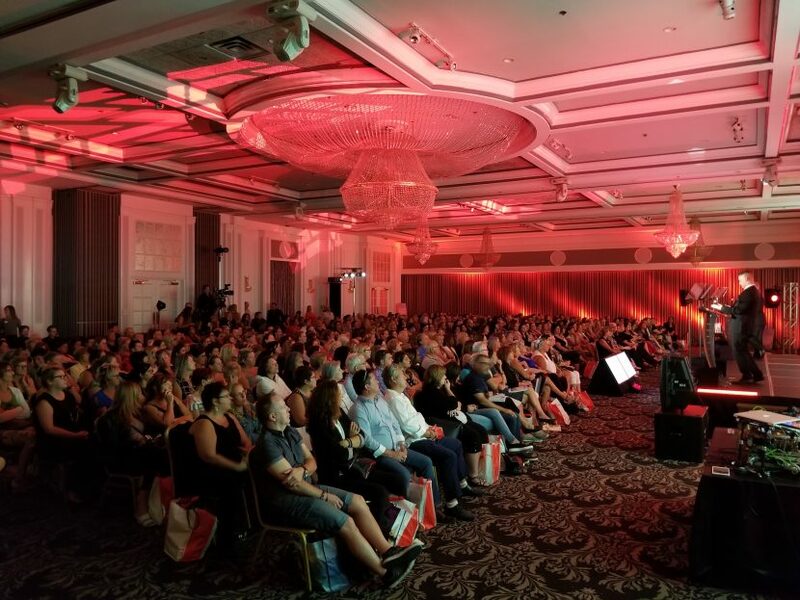 The show was a closer for an industry conference, audience size ranged from approximately 300 – 800 people and the energy was through the roof. I wanted to do something special for the finale of the show, and since the conference was for the tourism/vacation industry, I thought it would be great to have the audience built a dream vacation and predict their choices in advance. The audience was able to pick any vacation destination, activity to do while on vacation, and event departure time and flight number. All these selections were done in real time. Not only did my prediction that was visibly sitting on the stage from before we kicked off the show match the “dream vacation” exactly, but the client was nice enough to offer the volunteer to actually go on this dream vacation! A lot of work went into customizing the mentalism show to the company event and theme, but it was well worth it, and the reactions prove it! Performing Mentalism & Magic for corporate events isn’t always easy. It takes a lot of experience to be able to read the group you’re standing in front of, to integrate thier internal culture, and the messages the executive team want to push through in these events. As an entertainer and mentalist specializing in corporate events, it’s important to remember that these people didn’t buy tickets to my show, in fact, many of them may not even have known that they will watch a Mentalism & Magic show that day. This is why is key to engage the entire audience and make the show personal for them. Once I have a chance to show them what I’m capable of I typically get a lot of great reactions, and the audience is then willing to come with me on the journey through the rest of the show. I couldn’t be happier with how the tour went. Standing ovations in every city, lots of laughter, gasps, and giggles. I’d like to thank my agent, Hailey from The Idea Hunter as well as the client team for many this experience easy and fun! Click Here to Book Yan Markson & Bring Magic & Mentalism to Your Corporate Event!